Anthropoid is the story of resistance fighters who plan a daring assassination during World War Two. Their target is the notorious SS officer Reinhard Heydrich (The Butcher Of Prague). 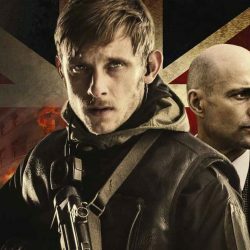 Jamie Dornan and Cillian Murphy star in this uber-tense war film directed by Sean Ellis. 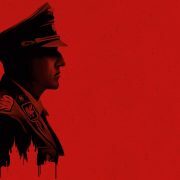 Anthropoid tells the extraordinary true story of the men and women who dared to strike at the heart of the Nazi regime. Jamie Dornan plays Jan Kubiš, a soldier serving with the exiled Czech army based in England. Kubiš and compatriot Jozef Gabčík (Cillian Murphy) volunteer to parachute into their Nazi-occupied homeland – Czechoslovakia. Both soldiers know the chances of them returning to England are low. Almost from the beginning, ‘Operation Anthropoid‘ begins to go wrong. The RAF drops our heroes in the wrong location. The Germans become aware of their presence, and a deadly cat-and-mouse game ensues. The Director, Sean Ellis, ramps up the tension perfectly during this part of the movie. The pressure builds as our two heroes try to evade detection. They must contact the Prague resistance and plan the assassination of SS officer Reinhard Heydrich before it's too late. Dornan and Murphy brilliantly convey the emotions which no doubt both Kubiš and Gabčík felt during the mission. Genuine fear and trepidation are on display from both actors. This is no ‘gung-ho' war movie. The director has injected a sense of realism. The film almost feels documentary-like at times. Hands shake as they load guns, panic and suspicion surface at every twist and turn in the story. 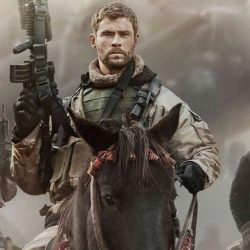 If the first half of the movie can be described as a tense thriller then the second half is an explosive epic on par with Saving Private Ryan. Incredibly, the movie deviates only slightly from the real events of the assassination. The heroism of those involved has been thoughtfully honoured in this enthralling movie. The film's finale is spectacular and chilling. Anthropoid really deserves a wider audience than it received during its cinematic release. You can catch this movie on the Netflix streaming service in the US & UK. If you like Anthropoid be sure to check out the excellent war movie Siege Of Jadotville which also stars Jamie Dornan.